If you have a stairlift installed in your home, chances are you have used it for other household chores. Although it is advised that stairlifts are not used for anything more than transporting people up and down a flight of stairs, there are certain perks to having a mobility aide at your disposal. We are not advocating allowing the grandkids to ride your stairlift like a rollercoaster, or encouraging stairlift races but we have scoured the internet to find alternative uses for your lift. We’ve heard of pampered pooches but this takes it to another level, if your dog struggles with the stairs or you simply don’t want Fido messing up the carpet, why not give them a lift? One company has actually created a canine stairlift, no word as yet as to whether it is bark operated but it is fully o-paw-rational (no prizes for that pun). It’s not just dogs that are getting in on the stairlift craze; their feline counterparts have also been spotted taking a lazy trip up and down the stairs. Although we’re bit sure why this cat would risk one it’s 9 lives trying to operate a stairlift, we can only assume that it’s doing so safely and following all of the guidelines. Many people also find that stairlifts are ideal for transporting large loads of washing or other household items between floors, if you struggle carrying the laundry basket then why not utilise the technology? As long as the load does not exceed the maximum weight restrictions of the stairlift and is securely placed on the seat, it is a great time saver. Of course stairlifts are not all fun and games, in fact for many people they are an essential part of day to day life when dealing with illness or disability. Modern technology has led to the creation of mobility options that are both practical and stylish, fitting in with home décor and compact enough to be pushed to the side when not in use. Burglars are opportunistic, they look for easy ways to get in to a home that won’t take long or arouse attention. Summer holidays mean families are often away from their property for a substantial duration of time, and therefore homeowners must be increasingly diligent at this time of year. A home alarm system can be a highly effective deterrent; 60% of burglars say they would be discouraged from targeting a house if they knew it had a home alarm system. 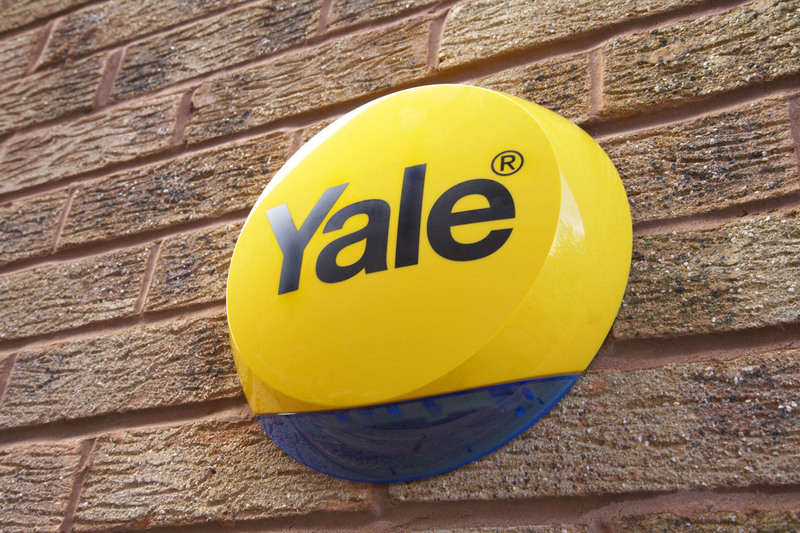 With all this in mind, Yale has developed range of alarms for all properties. The Yale Easy Fit Alarm can be fitted by anyone with a basic DIY competence and the SmartHome Alarm system must be fitted by a professional. 78% of homeowners leave valuables in easy view of passers by. This will attract potential burglars to your home as they know there it something valuable to be stolen. The most commonly stolen goods in burglaries include money, electrical products, computers, jewellery and mobile phones. 52% of homeowners make the common mistake of hiding keys by doorways. Burglars will always think to check in places such as under plant pots or doormats, so make sure any spare keys are well hidden, or avoid this at all if possible. 54% of homeowners will post their whereabouts on social media. This can draw attention to the fact that your property will be empty, and this could make it a target for potential burglars. These are all simple tips, but if you would like more information on keeping your property safe, visit the Yale website – the UK’s most trusted home security experts. Undertaking a bout of DIY can be quite the rewarding and fulfilling experience – as long as you can get your project finished, anyway! Equally, the economic satisfaction of saving money on hiring tradesmen to do the work for you can be another gratifying element of “Doing it Yourself”. However, what often deters many from getting their hands dirty is the realisation that many DIY Kitchen projects can be too overwhelming and time consuming to ever seriously consider performing. That assumption, though, couldn’t be further from the truth. There are plenty of budget DIY projects applicable to the kitchen that even the most amateur of handymen (or women) can complete successfully. Here are four of those very projects which to consider. Replacing your kitchen cabinet handles is a fantastic opportunity to transform the authentic feel of your kitchen without adding any significant cost to your budget. This also provides a chance to add some originality to the aesthetics of your kitchen. To perform, simply unscrew your existing handles and replace – easy peasy! Just take a look at these custom handles that depict well-renowned places on a map! Ok, so you’ve got your new handles, how about a lick of paint? This is another low-cost and pain-free way to spruce up the feel of your kitchen environment without the hassle of employing tradesmen. Again, unscrew your door and paint with a colour of your choice and one that really captures the mood you’re trying to create. If a lick of paint can be utilised to help define a new style and atmosphere within a kitchen then changing your lighting is a straight-forward way of altering the aesthetics of your surroundings without having to be a craft or DIY specialist. It may seem like a small change, but with the variations of lighting options available on the market, it can certainly make a big difference. You can opt for a bright white light to accentuate the sense of cleanliness in the kitchen or go for something completely different like some tinted blue lighting to emit an ice cool effect. Changing your existing kitchen faucet can make both an aesthetic and economical improvement to your kitchen. This is an excellent DIY Kitchen task for a beginner and can help to build up an individual’s confidence to attempt a more adventurous project. Remember, acquire a faucet that’s modern, stylish and offers greater functionality to that of your existing unit.